On February 14, 2019, the EPA unveiled the Agency's first-ever comprehensive nation-wide Action Plan for Per- and Polyfluoroalkyl Substances (PFAS). According to the current EPA Acting Administrator Andrew Wheeler at a news conference in Philadelphia, this is the first time the agency has engaged all of its program offices to deal with an emerging chemical of concern. 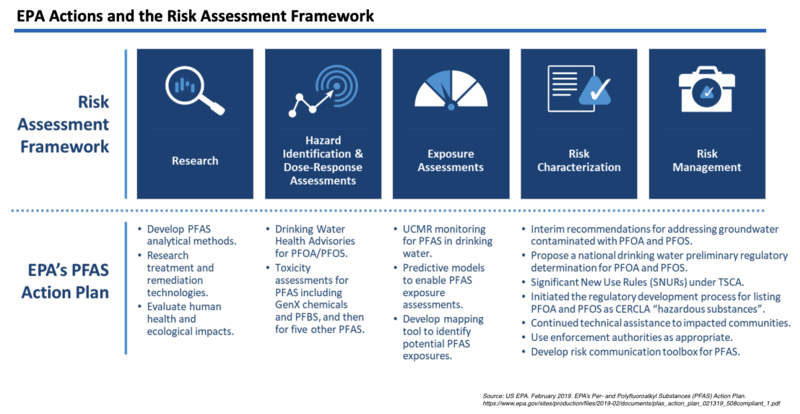 The plan provides a long list of steps the EPA plans to take over the next several years as it addresses protection of public health from PFAS. As reported in our blog, The “Forever Chemicals” are Back in the House, earlier this month, PFAS are synthetic chemicals that are found widely in the environment, especially drinking water and soil. There is broad consensus among scientists that these chemicals represent an environmental threat. Exposure to them may lead to adverse health effects. Studies have linked PFAS to a wide range of diseases, including cancer and birth defects. However, questions remain over the mechanisms in which these chemicals cause these health effects and at what levels in the environment do they represent a threat. Which PFAS Chemicals Are Being Regulated? Much of EPA's Action Plan deals with answering these questions and creating a better and more widely communicated understanding of the problem. The Plan contains little in the way of concrete regulatory steps. However, the EPA says it has already initiated the process of listing two specific and prevalent PFAS chemicals – PFOA and PFOS – as hazardous substances under the Superfund law (CERCLA), and Mr. Wheeler stated in the news conference that the Agency is committed to move forward with the Maximum Contaminant Level (MCL) process outlined in the Safe Drinking Water Act for these two chemicals. Although much of the Action Plan focuses on the drinking water impacts of PFAS, it does address other media as well. Over the coming years, the Plan indicates the EPA’s intention to expand monitoring and regulatory efforts to other matrices including air: Ambient, Stack emissions, and off-gases. To this end, the Agency plans to develop and validate methods for stack emissions measurements sometime in 2020. One can anticipate that the starting point for these efforts would be the current coupling of traditional methods for measuring air emissions of semi-volatile organic compounds (e.g., SW-846 Method 0010) with the newest drinking water method for PFAS (Research Method 537.1). However, the Plan indicated that measurement of Total Organic Fluorine may also be considered as a surrogate measurement for PFAS. 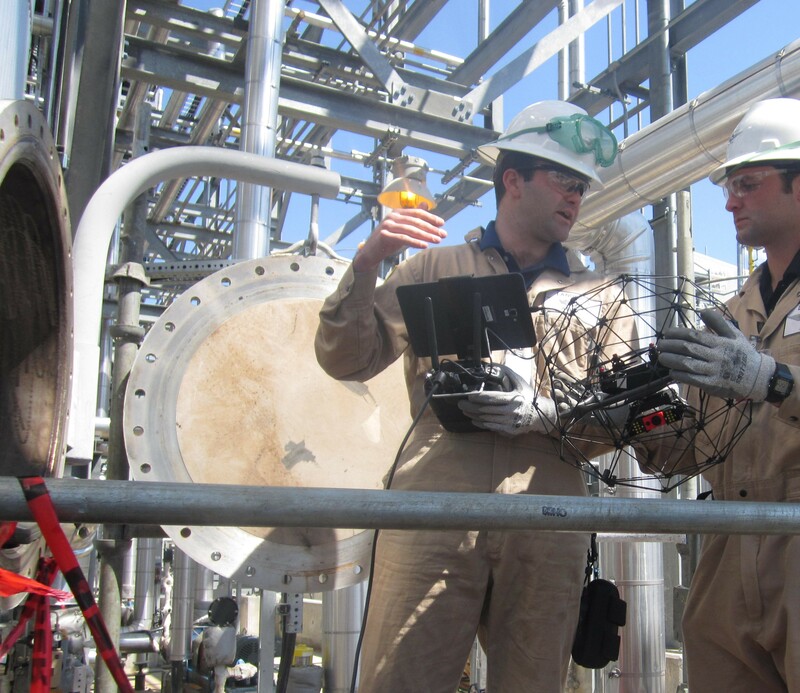 Learn more about CleanAir's many services related to air measurements. Lost in the daily news coverage of the recent government shutdown was a significant announcement of the creation of a new bipartisan task force in the House of Representatives. On January 23rd, Representatives Dan Kildee (D-Mich.) and Brian Fitzpatrick (R-Pa.) announced that they were to begin working on a drinking water contamination issue caused by a family of fluorinated organic chemicals known as per-and polyfluoroalkyl substances (PFAS). These compounds are often referred in news articles as “forever chemicals”. This is due to their longevity in our bodies and the environment. There is a chance you’ve heard a little about these chemicals over the past few years. There is a near certainty that you will hear a lot more about them in the future. 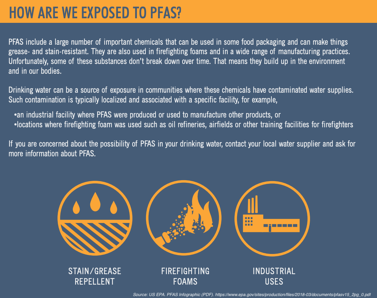 The PFAS family includes more than 3,000 man-made chemicals that have been used for decades in consumer and industrial products. They have the unique ability to repel both oil and water and resist heat. These properties make them very useful. 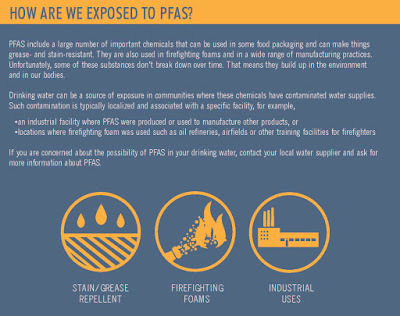 PFAS are in hundreds of products, including nonstick coatings on cookware, waterproof and breathable membranes for clothing, carpet and clothing stain repellents, food-grade coating for paper and cardboard packaging, industrial surfactants, and firefighting foams. Unfortunately, PFAS compounds are toxic even at extremely low levels. They bioaccumulate in our bodies and the bodies of animals, and take a long time to break down in the environment. There is a substantial body of scientific evidence that exposure to PFAS has a wide range of health impacts. These include: links to thyroid and liver diseases; prostate, kidney, and testicular cancers; high cholesterol; changes to the immune system; and birth defects. In 2016, the EPA established a drinking water health advisory for two specific PFAS compounds. These are perfluorooctanoic acid (PFOA, also known as C8) and perfluorooctane sulfonate (PFOS). In this action, EPA established the health advisory level for PFOA and PFOS at 70 parts per trillion. EPA's health advisories provide technical information to states agencies and other public health officials. This enables them to take the appropriate actions to protect their residents. However, these advisories are non-enforceable and non-regulatory. There have been successful movements by U.S. manufacturers for nearly two decades. They are voluntarily phasing many of the more dangerous “long-chain” PFAS compounds such as PFOA and PFOS out of domestic products. However, their persistence in the environment, long lifespan, legacy in existing products, and continued global manufacture have kept PFAS around. Also, some of the “short-chain” compounds used to replace them may carry some of the same health threats as their long-chain counterparts. Public awareness of PFAS compounds has increased over the past 15 years as a result of numerous legal cases involving contamination of public and private drinking water supplies. An early landmark case involved contamination of drinking water in Parkersburg, West Virginia by a nearby chemical plant. An initial settlement resulted in a 2005-2006 medical survey of 69,000 people who were exposed to PFAS because of the contamination. The survey linked PFAS exposure to six diseases. In 2018 a Department of Defense report to Congress disclosing that over 400 military installations were identified as having known or suspected releases of PFAS from firefighting foam into drinking water supplies. Most recently (and ongoing), is the contamination of drinking water from a stretch of the Cape Fear River in North Carolina with short-chain (C6) PFAS. This potentially affects more than a quarter-million people. The compounds in question, namely a HFPO dimer acid and its ammonium salt, have been used for over a decade as a safe replacement for PFOA. However, a recent EPA study has shown that they may cause similar health problems as those associated with PFOA. Congress has been paying attention. Last August, senators from Michigan and South Dakota introduced two bipartisan bills (S. 3381 and S. 3382) that sought to address the PFAS issue. Both the House and Senate followed up in September with separate subcommittee hearings to discuss the emerging health and environmental impacts of PFAS. Although the Senate bills last year brought attention to the subject, neither made it past committee stage. However, lawmaker’s efforts continue. In addition to the House task force mentioned at the beginning of this article, on January 14th three Michigan members of the House of Representatives introduced another bipartisan bill - the PFAS Action Act of 2019 (H.R. 535). This bill would push the EPA to list all PFAS as "hazardous substances" under Section 102(a) of the Comprehensive Environmental Response, Compensation, and Liability Act of 1980 (a.k.a., CERCLA or the Superfund law). This would open the door for more rigorous regulation and control of these compounds. States are taking action as well. In 2017 Michigan created the first multi-agency action team of its kind in the nation to investigate sources and locations of PFAS contamination in the state’s drinking water supplies. That same year, California added PFOA and PFOS to the list of chemicals known to the state to cause reproductive toxicity. Companies doing business in California are now required to provide a warning under Proposition 65 before exposing anyone to the chemicals in any manner, and by this July they will be prohibited from releasing PFOA or PFOS into sources of drinking water. Until recently, the focus on PFAS has been primarily on their contamination of drinking water supplies and secondarily on their presence in finished consumer goods. 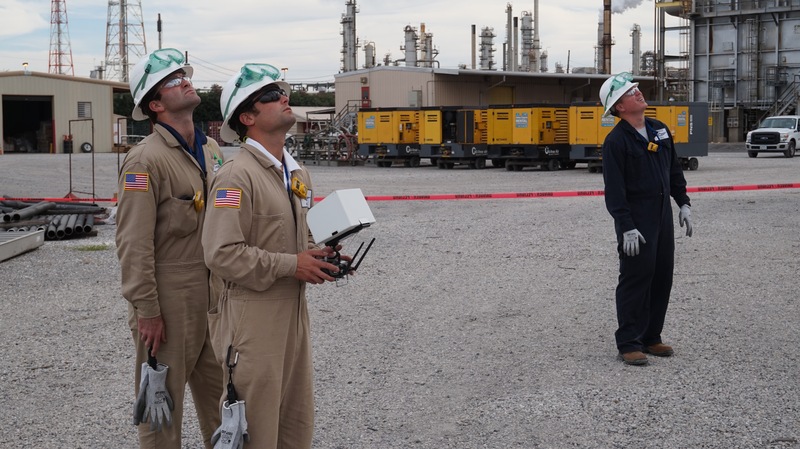 However, because of the potential for air deposition of these chemicals from smokestacks and process vents onto soil and ultimately into groundwater, ambient air and stack emissions are also being scrutinized. 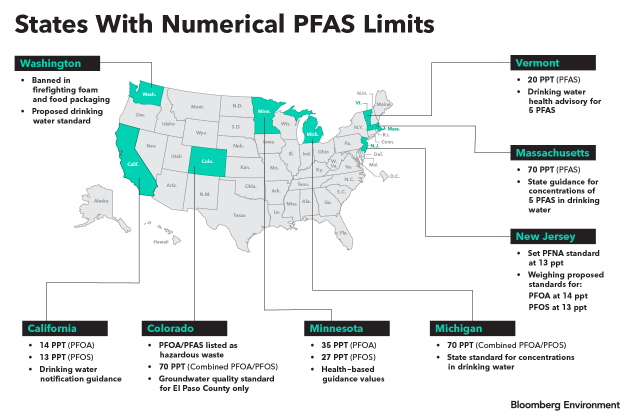 Several states have recognized the need to address stationary source air emissions of PFAS and are modifying operating permits and developing state-level regulations accordingly. These include Michigan, New Jersey, North Carolina, Washington, and New York, among others. Air emissions of PFAS can be generated from a long list of manufacturing processes. Those for oil/water/stain-resistant fabrics, coated paper packaging, fire retardant materials, coated wire, surfactants, plastics, and semiconductors are the most well-known. Waste incineration, landfilling, and wastewater treatment may represent other potential air sources, although most likely to a lesser extent. Once airborne, PFAS can remain in a gaseous state or bind with particulate matter or aerosols suspended within the air. Quantifying these air emissions represents a challenge. Existing stack test data are very limited and there currently is no USEPA protocol developed specifically for measuring PFAS in air emissions. Laboratory contamination of samples also presents a challenge, since the PFAS analytes are found in common lab supplies and equipment such as polytetrafluoroethylene (PTFE) products. Studies have been reported in which either XAD-II resin or polyurethane foam substrates were successfully employed to capture PFAS in air samples. For example, a standard stack sampling method for semi-volatile organic compounds using XAD-II resin, EPA SW-846 Method 0010, was recently used to measure several PFAS compounds in stack emissions from a chemical facility in North Carolina. Suitable laboratory analytical techniques to quantify PFAS are relatively new (developed in the mid-2000s). The normal detection method uses high-performance liquid chromatography (HPLC) coupled with tandem mass spectrometry (MS/MS). EPA drinking water research method 537.1, which uses HPLC/MS/MS, is the most commonly used, but there are others under development. 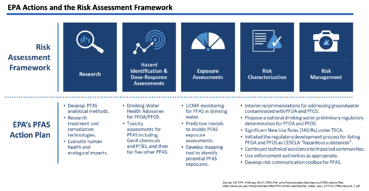 Given the potential scope of the PFAS problem and the increased momentum of the conversation in the public dialogue, it is likely that efforts will increase to measure sources of PFAS and understand how to minimize human exposure to these compounds. Stay tuned by reading our sequal: EPA Unveils its Long-Awaited Action Plan for PFAS. 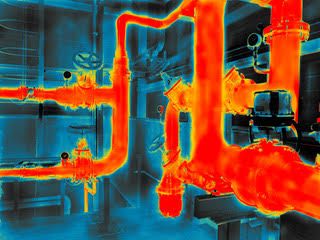 Infrared cameras are typically perceived as tools for hydrocarbon detection. However, with the proper equipment, they can be used for a variety of chemical detection projects. CleanAir helped a whipped cream manufacturer who experienced significant releases of nitrous oxide (N2O) in their production process. The leaks created a hazardous work environment and frequent production shutdowns. They employed a manually intensive leak detection method using a soapy mixture to identify the source of the leak. 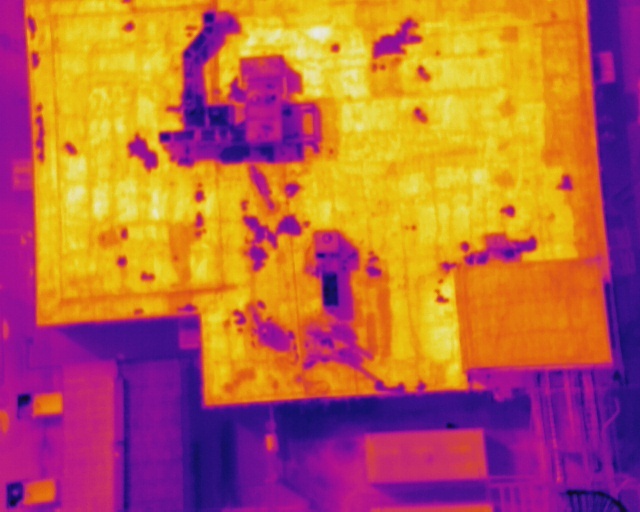 CleanAir supplied an Optical Gas Imaging (OGI) solution using a FLIR camera with interchangeable band-pass filters. As opposed to the manual soap approach. Unlike the well-known FLIR GasFind cameras that have fixed filters for specific compounds. The FLIR SC8313 camera can be fitted with filters for a wide range of compounds – both hydrocarbon and non-hydrocarbon. This camera provides rapid frame-rate and high definition images. Thus, enabling low detection limits for small leak detection. Flexibility and high resolution come at a price, though. One of the disadvantages of the camera is that it is fairly large and not as portable as the GasFind cameras. It is designed to be used in a fixed position in a laboratory or other workspace. 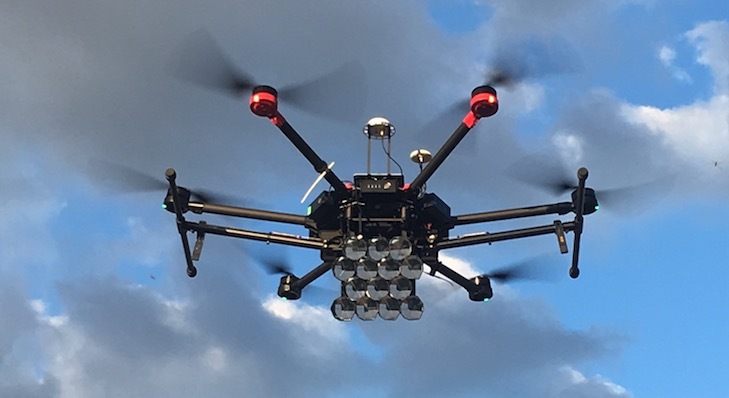 For this application, CleanAir designed a custom mobility solution allowing the camera to move from a stationary position in a lab out onto the production floor and be deployed as a mobile leak detector. This custom OGI system allowed the identification and repair of many N2O leaks across the production line. Short-term fixes were then put in place to either decrease or eliminate the leaks. 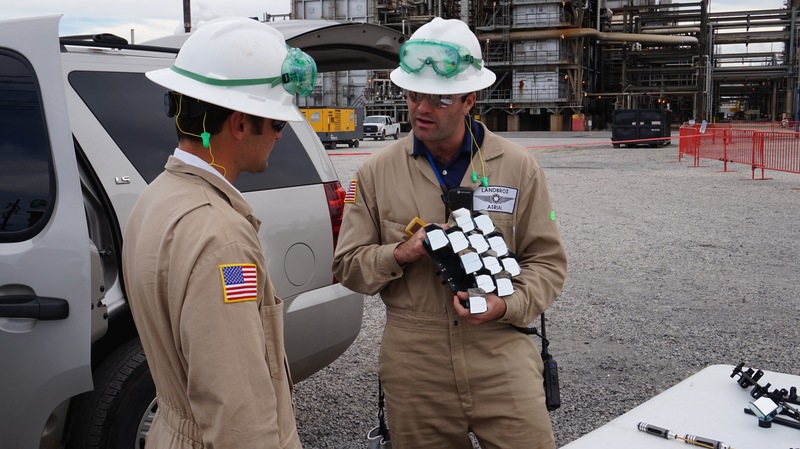 Periodic inspections are still being conducted until longer-term solutions are implemented. The ACE Rule: When is an Emission Increase an Emission Increase? The Trump EPA's new Affordable Clean Energy (ACE) rule proposal announced today aims to replace the Obama EPA's Clean Power Plan (CPP) for limiting CO2 emissions from coal-fired power plants. The new proposal finds that the Best System of Emission Reduction (BSER) for such plants is Heat Rate Improvements (HRI) -- that is, to have each affected plant figure out how to generate more electricity with less fuel. This approach is in stark contrast with CPP which contained a complex "building block" approach to BSER. But aside from the controversy that will inevitably surround the less stringent CO2 reductions required, there are also proposed changes to EPA's New Source Review (NSR) permitting program that may stir up just as much hoopla. NSR is one of EPA's bedrock programs that has been around almost as long as EPA itself. The NSR program requires sources to undergo a pretty expensive, time-consuming, rigorous (some would say "onerous") review to determine whether constructing a new facility or modifying an existing facility would result in the "significant increase" of a regulated pollutant. If there is a significant increase, the plant would then be subject to potentially much more stringent (i.e., costly) requirements. Needless to say, most plants avoid NSR entanglement like the plague. Step 1: Is there a physical or operational change? If yes, go to Step 2. If no, end. Step 2: Is there an ANNUAL increase in actual emissions greater than the EPA significance threshold? If yes, go to Step 3. If no, end. Step 3: Is there a significant increase in NET ANNUAL emissions? If yes, our condolences... you are subject to NSR rules. If no, congrats, you are not subject to major source NSR (maybe minor though). The key takeaway here is that a significant increase in emissions is determined on an annual basis. That creates a potential problem from the power plant's perspective. How? At the present time, there is no system in place to store the power produced by power plants. So the output of all the power plants on the electrical grid must be continually adjusted based on the electrical demand. This process is called dispatching. The more efficiently a plant operates, the more likely it is to be dispatched at a higher output or for longer periods of time. 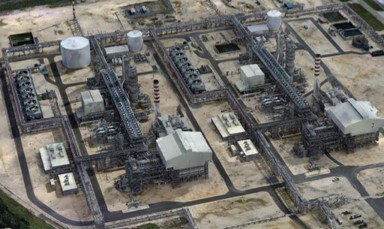 Therefore, if a plant improves its efficiency through a heat rate improvement project under ACE (a good thing), it will likely be operating at higher loads over a longer period of time. This may trigger NSR applicability (a not-so-good thing). This may happen even though the plant's pollutant emission concentrations remain unchanged or even are reduced. It's simply a matter of ANNUAL operating time. Yes, the efficient plant is generating electricity in place of a less efficient plant, but that offset is not recognized by the NSR approach. Now I'm not going to get into a debate about NSR stringency here and whether that's a good thing or a bad thing. I'm simply stating that from a power plant's perspective, NSR can be viewed as inhibiting potential efficiency increases. And the ACE proposal is all about power plant efficiency. Step 2: Is there an increase in HOURLY emissions? If yes, go to Step 3. If no, end. EPA is proposing several alternatives to how this hourly test would be calculated. The overall idea is to limit exposure to NSR applicability when initiating projects to improve plant efficiency. This could be considered in the same light as EPA current NSR exemption for pollution control projects. In any case, the proposed change is not mandatory but simply an option that may be adopted by states in their State Implementation Plans to meet ACE requirements. On August 10, 2018, the US Department of Justice lodged a proposed consent decree with the United States District Court for the Southern District of Illinois in the lawsuit entitled United States and Illinois v. WRB Refining LP, et al., Civil Action No. 3:18-cv-01484. See copy here. The complaint alleged that defendants WRB Refining LP and Phillips 66 Company ("WRB/P66") violated various provisions of the Clean Air Act and the Illinois Environmental Protection Act at the Wood River Refinery. 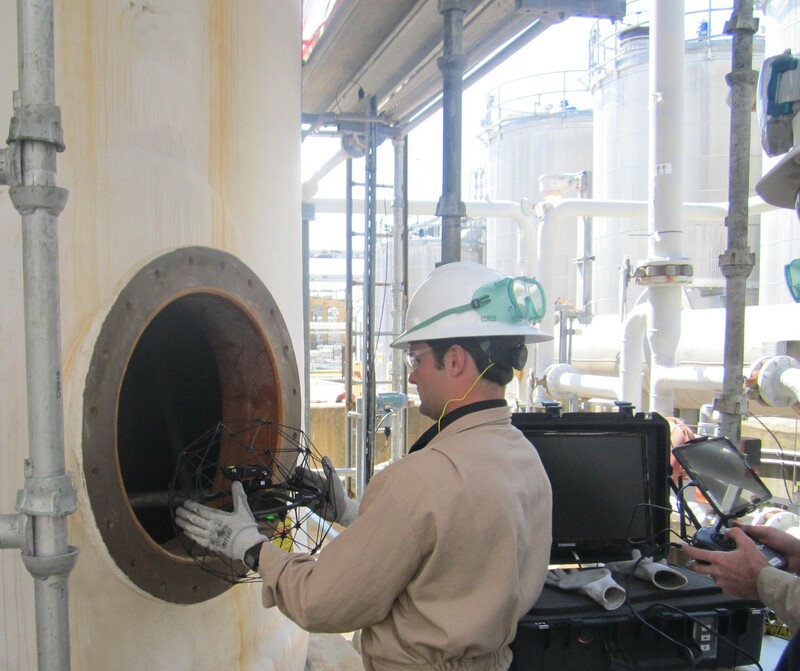 Under the proposed consent decree, WRB/P66 will implement a flare minimization and flare efficiency program to reduce emissions of volatile organic compounds; undertake a variety of practices to reduce pollution from valves and pumps; limit benzene emissions from wastewater management units; and develop and implement an operation and maintenance plan to improve the operation of the continuous emissions monitoring systems at the Wood River Refinery. Under the terms of the Decree, WRB/P66m will install a new vacuum truck unloading facility; set up monitoring devices around its wastewater treatment plant; and use low emissions valves when it has to replace older valves or install new ones. WRB/P66 will also implement a $500,000 supplemental environmental project to abate lead paint hazards at qualifying homes and buildings and pay a civil penalty of $475,000. 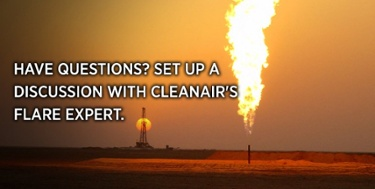 Click HERE for information on CleanAir's flare services. 1. Hydrogen Chloride (HCl) is an acid gas classified as a Hazardous Air Pollutant (HAP), and is identified as harmful to the environment and human health. HCl is highly corrosive and can damage metal structures over time. It is also highly water soluble (known as Hydrochloric Acid in solution) and will affect the chemistry and ecology of bodies of water or certain types of soils. 2.Hydrogen Chloride regulation. The U.S. EPA regulates HCl across several industries, including fossil-fueled power plants, refineries, cement kilns, pharmaceutical manufacturers, and steel manufacturers. Within the U.S., HCl emissions must be measured, estimated, or calculated, and periodically reported to regulatory agencies. If an affected source measures HCl directly, then the source owner must use a specified sampling methodology dictated by the regulation affecting the source. 3. US EPA Method 26. Originally promulgated in 1991, this test method extracts a sample from the stack or duct at a constant rate and passes the sample through a filter to remove particulate. After the filter, reagent-filled impingers capture chloride ions as the sample is bubbled through the sampling train. Since the method does not measure HCl directly, but rather the captured chloride ions, other chlorine compounds have the potential to generate a positive bias, if present. The chloride ion concentration is measured via ion chromatography. 4. US EPA Method 26A. Originally promulgated in 1994, this method employs the same underlying principles as Method 26 while conforming to most Method 5 specifications for sampling particulates. 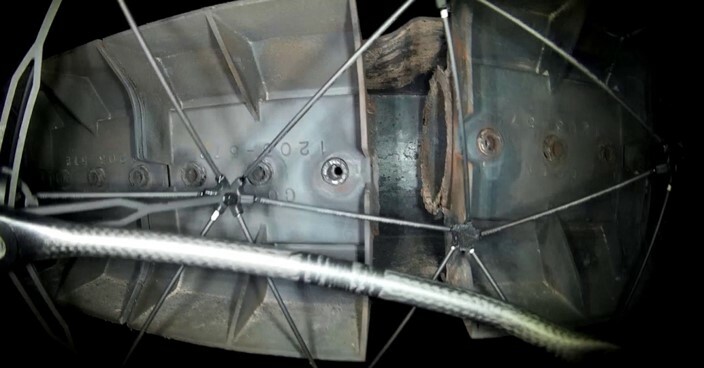 Specifically, Method 26A isokinetically extracts a sample from the stack or duct and passes it through a Method 5 filter to remove particulate. The impingers capture chloride ions just as in Method 26; however, to account for higher flow rates and higher sample moisture levels, the impingers hold larger volumes than in Method 26. The EPA created this method to address possible sampling biases in “wet” stacks, or stacks that are at or near the moisture saturation point and where entrained water droplets containing HCl may be present. 5. US EPA Method 320. Method 320 is a spectrographic method. Unlike the “wet” Methods 26 and 26A, this method measures the HCl in the gas phase without first absorbing it into a liquid reagent. A sample is extracted from the stack or duct at a constant rate and passed through an FTIR sample cell. The FTIR scans the volume of gas in the cell and measures HCl (as well as other compounds) in near real-time. American Society for Testing and Materials (ASTM) D6348 12e1 is an FTIR method like Method 320 that may also be used when FTIR is approved for use at a source. These methods directly measure HCl, not chloride ions and so are less susceptible to some biases. 6. Which method should be used for compliance? The Mercury and Air Toxics Standards (MATS) Rule lowered the HCl emissions limits for all existing power generating units, while giving sources different options for complying with the new limits. Certain sources may use sulfur dioxide (SO2) as a surrogate for HCl, certain low emitting sources (LEE) may be exempt from monitoring HCl, and other sources may choose to comply with a permanent HCl CEMS. For sources not qualifying for or opting not to use these compliance options, Methods 26, 26A, and 320 are the HCl measurement methods to be used for quarterly stack testing compliance demonstration. For sources with a wet stack, Method 26A must be used. For sources with a dry stack, Method 26 or Method 320 can also be used. Non-power generating units historically restricted methodology to Methods 26 and 26A for HCl compliance; however, FTIR has been approved for some sources in some states. 7. What about measurements that are not for compliance? Recently, source owners have installed dry sorbent injection (DSI) and other emission control devices to comply with lower HCl limits. During the performance guarantee for newly installed control devices, as well as subsequent tuning or diagnostic testing, source owners choose the measurement methodology that they believe best helps them meet their test program goals and quality objectives. There are no regulations that specify measurement methodology when the testing is not for compliance purposes. 8. Entrained water biases in Method 26. Method 26 uses small filters, small impingers, and extracts samples at a slow, constant rate. When sampling a wet stack, this method will not representatively sample entrained water droplets. Typically, the low flow rate and small sampling train makes it likely that smaller entrained water droplets and gas molecules will be overrepresented in the sampling train, while larger entrained water droplets will be underrepresented in the sampling train. This means that the HCl concentration will typically be biased low when Method 26 is used in the presence of entrained water droplets. 9. Chlorine biases. Chloride salts and elemental chlorine exist in the flue gas and cause molecular interactions to occur in the bulk flow. Conditions found in typical flue gases drive conversion of most chlorine content to gaseous HCl. However, any residual chlorine in the bulk flow could also convert to HCl in the sampling system if the sampling system is not carefully constructed and operated. This transport issue can be a problem with all of the methods referenced above. 10. Keep it hot, rinse a lot. Chloride ions deposit on the surfaces of unheated and chilled portions of the sampling train (the impingers), so the post-run collection and rinse methodology for wet methods becomes very important. Sample system temperature has a direct effect on the degree of chloride deposition. Sample system temperature must be kept as hot as possible during sampling at all points. Any cold spots, even small ones, can introduce a significant bias to the measurement. Also, laboratory studies show that a large volume of rinse water and thorough wetting of all surfaces of sampling equipment is necessary to fully remove all collected chloride. The important of thorough rinsing cannot be overstated – research shows that recovery and rinsing bias is tester-specific. Like the wet methods, Method 320 also requires transport of the sample from the source to the instrument. Adequate and consistent heating of the gas sample along the entire transport path is critical in achieving good performance with this method. M26 and M26A specify a temperature range of 248-273 °F, while M320 does not specify temperature. Temperatures must not exceed 400°F if Teflon components are used since Teflon is unstable above this temperature. 11. What are some alternatives? There have been mixed results with in-stack measurements using FTIR as well as tunable diode laser (TDL) technology. These approaches eliminate sample transport biases entirely, but are more amenable to long-term measurements and CEMS applications rather than short-term compliance tests. More recently, EPA has considered the use of sorbent traps (OTM-40) for HCl as Alternate Test Method 129 (ALT-129), which can eliminate some of the transport concerns. Overall, HCl is a difficult compound to quantify, not because of a lack of analytical techniques that can measure HCl, but because of the complications of sample transport. CleanAir conducted a study, for the Electric Power Research Institute (EPRI) comparing wet methods to FTIR for halide measurements. Also, in the special case of a supersaturated stack, CleanAir performed diagnostic testing to help troubleshoot HCl issues with an isokinetic FTIR. 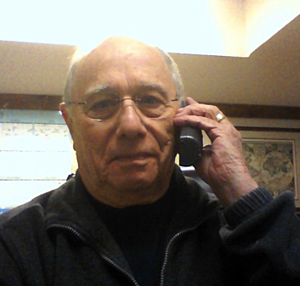 If you have any questions concerning HCl measurement, we can help you with research, data, and testing. The U.S. EPA recently “upgraded” Other Test Method 40 (OTM-40) to an approved alternative method (ALT-129) for coal-fired Electric Generating Units (EGUs) subject to 40 CFR Part 63 Subpart UUUUU, otherwise known as the Mercury and Air Toxics Standards or MATS. The change from OTM to ALT means the method can now be used by coal-fired EGUs without pre-approval . The method is the same, just the broad approval is new. The approval does come with some restrictions, however. The method may only be used without pre-approval by coal-fired EGUs and only those with low moisture flue gas at temperatures above 212 °F. The flue gas can contain no entrained droplets. Under these conditions, field testing shows OTM-40 performs similarly to Method 26A (M26A, one of the traditional HCl Reference Methods) but could potentially be biased high. A simpler sample train setup, lack of harmful chemical reagents, and quicker sample recovery may contribute to lower testing costs for affected facilities compared to Method 26 or 26A. OTM-40 uses HCl sorbent traps and the same equipment and procedures as Method 30B (M30B, mercury sorbent trap method). The sample gas flows through paired sorbent tubes which capture HCl as chloride. Sample recovery and analysis typically consist of a water extraction followed by ion chromatography. Like M30B, method performance is evaluated for each test using NIST-traceable spiking in one of the traps. This paired-sample design helps validate test results and assess method precision which is difficult to accomplish with the traditional test methods. While M26 uses a set of glass impingers filled with reagent to collect HCl outside of the stack, OTM-40 traps capture the HCl sample in-situ. This difference eliminates potential low bias resulting from insufficient heating of the sampling system, since the sample is collected in the traps before the sample gas is transported through the rest of the sampling equipment. However, this approach is susceptible to the same potential high bias as M26 from the presence of elemental chlorine (Cl2) or other chlorinated compounds in the flue gas. Unlike M26 or M26A, the trap method could also have a high bias if there are any chloride compounds contained in the particulate matter collected on the glass wool plug at the front of the trap. The trap method requires that the glass wool be included in the sample analyses, whereas the particulate filters in the conventional methods are not required to be analyzed. 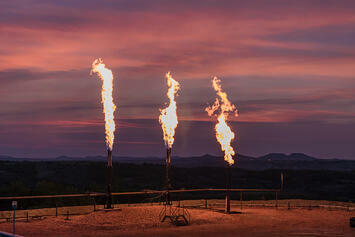 As mentioned above, OTM-40 is currently only approved for coal-fired EGUs with dry stacks. Stacks with wet scrubbers still require isokinetic sampling and nozzles for representative sampling of possible entrained water droplets. OTM-40 does not sample in this fashion. Also, the method has only been validated on coal-fired utility stacks; therefore, OTM-40 has not been approved for other sources although it may still be used with pre-approval. Click here for the approval letter, and here for the full method description.